It is coming to that time of the year again! School uniform shopping and labelling. Now I won’t hesitate to admit I am no domestic goddess. I hate sewing, so sewing labels onto uniform is a big no no here, so that leaves the option of ironing on labels. Now ironing isn’t as bad as sewing…..but I also hate ironing and try to do as little as possible. And with ironing on labels, if you are anything like me, then you could possibly end up burning brand new clothes. 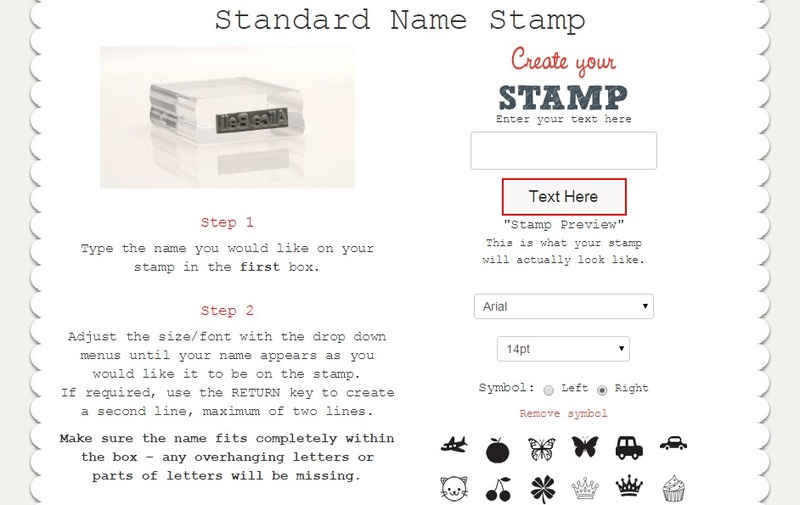 The newest solution is Stamptastic! Stamptastic is the new fast way of labelling school uniforms. And it is not just limited to uniform as it can be used on fabric, metal, wood and some plastics. 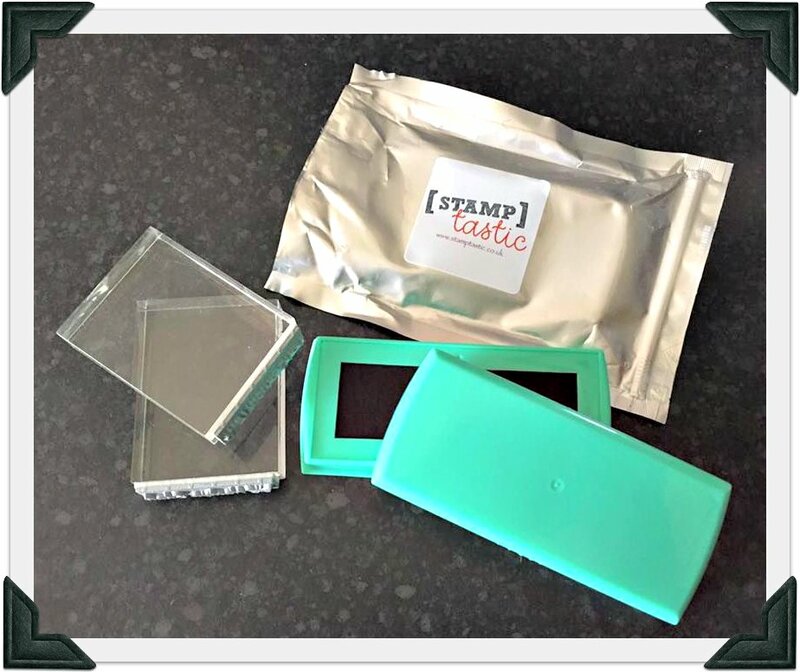 The Stamptastic Ink Pad costs £12 and the personalised stamp costs £10. Yes they are more expensive than labels which only cost a few pounds BUT the ink pad and stamp can be used over and over again. Stamptastic’s tests have showed that the stamps on most clothes material can withstand 50 washes. Depending on how much the ink pad is used it more than likely will last until the following school year and beyond if looked after properly. The ordering process is very simple. You select the name you want, the font and size. What I love about the stamp is that you can also add a symbol . The ink pad arrives in a silver protective packet which you should use to store the ink pad in; this keeps it fresh. And it really does make labelling items so much quicker and easier! The only real problem is that the black ink won’t show up on darker colours. However, Stamptastic are aware of this and have added a white fabric pen until they find a white ink pad. I will definitely be getting rid of the ironing on labels and using this in the future. It saves time and effort as you can literally label all the clothes in just a few minutes. Anything that helps make busy mums lives easier is a must have! And if the ink does eventually wash off all you have to do is restamp! Disclaimer: I was sent an ink pad and stamps for the purpose of review. All opinions are my own. This would have been really handy back in the day when I sewed lots of name tags into my son’s school uniform! He’s left school now, so no more name labelling for me! Oh wow! 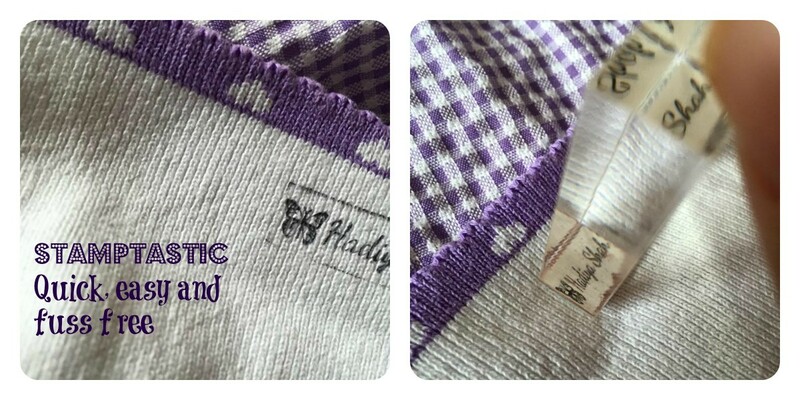 I didn’t know that you could get stamp ‘labels’ – I usually iron on mine! Will it wash off in the washing machine though? This is a worry I’d have! JuggleMum, Nadine Hill recently posted…A Bath-time Treat for a Busy Bee! It will eventually,they have had tests where it lasts for up to 50 washes. This has got to be better than hand sewing gazillions of labels into a garment right? I’ve got one and I find it really easy. Haven’t found that it fades quickly either so that’s good. I’m not that great with sewing either, I’ll definitely be getting that when A. goes to school! 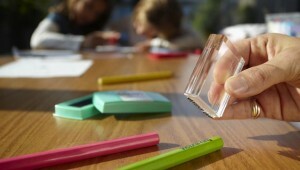 That’s a lovely way of personalising items and especially good for school uniform. I think you could use this if you made your own garments too, to sell. I’ve got to start this soon as my son starts school in September. The only problem is they have to have their black socks labelled as well and I’m not sure how well the white pen would work on it as the socks have stretchy tops. What a great idea, when my girls were little we had to sew all the labels on. These look great! I have four kids so would def try this! It does look fantastic, and the 50 wash thing would be ideal and pretty perfect for the entire year!